A recent study in the American Journal of Clinical Nutrition determined the relationship between polyphenols and diabetes prevention. Type 2 diabetes is a disease that develops as the body can no longer control blood sugar levels within healthy ranges. This condition is associated with many other negative health outcomes, including cardiovascular disease, eye damage, kidney problems, and nerve damage. One common method of diabetes prevention is through dietary changes. A healthy diet often consists of many plant-based foods, which are rich in a family of compounds called polyphenols. Polyphenols are micronutrients that have a wide range of effects on our metabolism and may even alter mechanisms that regulate blood sugar levels. There have been studies that showed a relationship between dietary intakes of polyphenols and a lower risk of diabetes. Confirming and studying the beneficial effect of polyphenols can help with determining a recommendable amount of polyphenols to ingest as a method to prevent type 2 diabetes. Accordingly, a German research group reviewed the past and current literature on the relationship between polyphenols and diabetes and summarized their findings in an article published in the American Journal of Clinical Nutrition. This review draws upon 18 scientific articles that were relevant to their study question. By performing multiple analyses on the combined data from these studies’ findings, the authors examined how different doses of polyphenols in an individual’s diet correlated with a lowered risk of diabetes. The authors examined different types of polyphenols and offered insights into the many subsets. By drawing conclusions on the benefits of each individual compound, this study lends greater support to the health benefits of polyphenols. 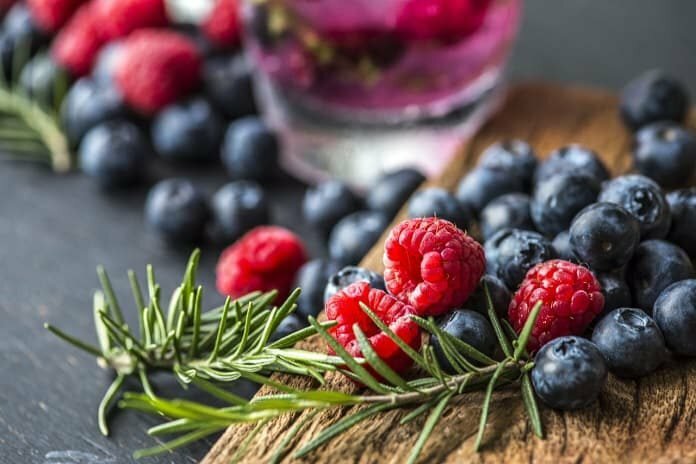 Overall, this study finds evidence that polyphenols, particularly one subset called flavonoids, plays a role in diabetes prevention. With the incidence of diabetes around the world, preventative measures are necessary to avoid rising health care costs and improve the quality of life of patients. This study sheds light on the preventative effects of compounds that are frequently found in vegetables on diabetes development. The data presented here, in addition to future studies on polyphenols, may guide dietary recommendations on specific types of polyphenols to prevent type 2 diabetes. Reference: Rienks J, Barbaresko J, Oluwagbemigun K, Schmid M, Nöthlings U. Polyphenol exposure and risk of type 2 diabetes: dose-response meta-analyses and systematic review of prospective cohort studies. Am J Clin Nutr. 2018 Jul 1;108(1):49–61.